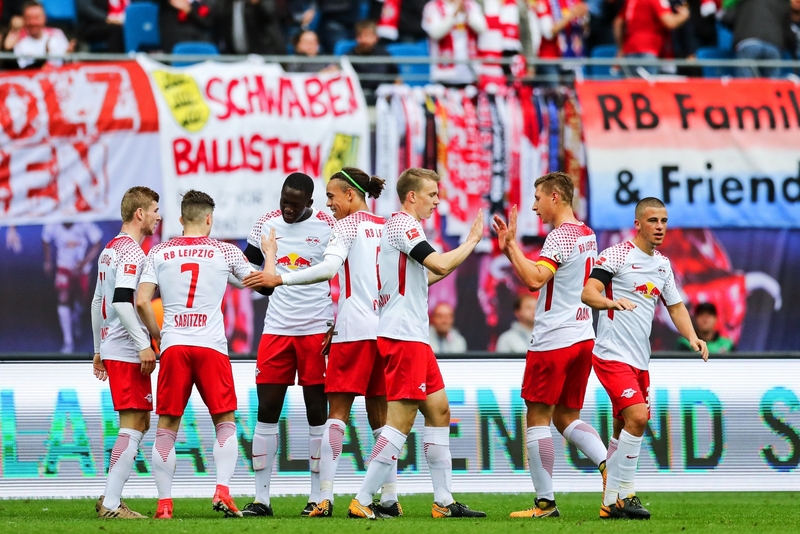 IT WAS RB LEIPZIG’S meteoric, energy drink-fuelled rise that brought the Bundesliga’s fabled 50+1 rule to the forefront of football discussions as of late, but both the history and the future of this regulation is a fascinating story. 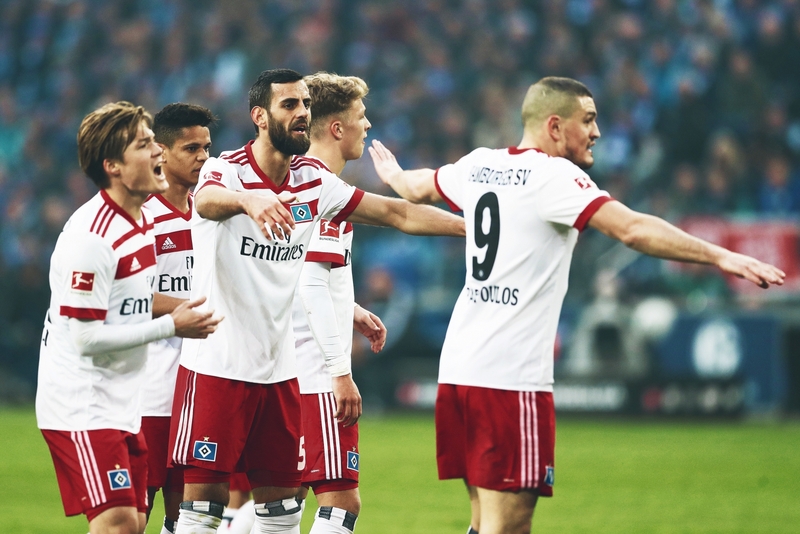 After all, we might be close to the end of this particular saga with the financial vultures actively circling around the promising prospects of German football. The development of professional football in Germany took a very different path than what we’ve seen on English shores. While they both began with clubs functioning as essentially member-owned and member-operated organisations, the Germans did not embrace the idea of waged players and a national league system for a long while. In fact, many of these organisations were founded before football was even fully codified as such. We’re talking about gymnastic clubs here, meaning they aren’t exactly businesses – although, of course, specific elements are now permitted to be run as such. These are big enough differences in their own right, but there’s much more to it than that: the many different rules developed in East and West Germany had to be harmonised after the reunification in 1990. These changes failed to address the differences between East and West. As the state sponsorship dried up in what used to be the communist state after the fall of the Berlin Wall, it became clear that there will be no proportionate representation of the two sides of Germany in the Bundesliga. 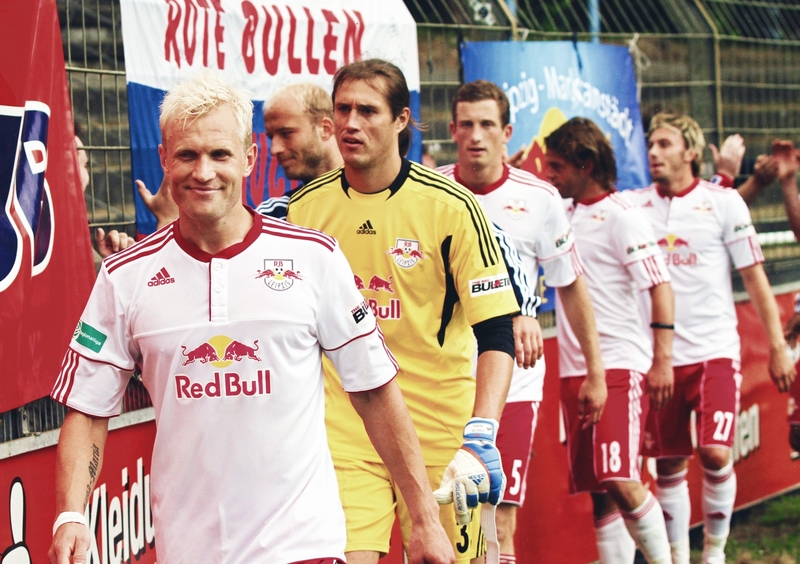 After Energie Cottbus’ relegation in 2009, there were no East German clubs in the top flight of domestic football – that is, until RB Leipzig made its mark on the scene. For all it’s worth, the state of football stadia also serve as a reminder of the stark differences: as Germany prepared for hosting the World Cup in 2006, only Leipzig’s received a facelift from that area of the country – the city where the German Football Federation (DFL) was founded and hosted the first title winner in VfB Leipzig. Still, perhaps the administrative challenges of the reunification can at least partially explain why so many aspects of the Bundesliga’s inner workings are carefully measured and sanctioned compared to what we see elsewhere in the world. The 50+1 rule, first introduced in 1998, was designed to guarantee the continuation of the fan-based ownership of previous eras, requiring that a minimum of 51 percent of the club must be owned by its members, while still allowing for investment opportunities, nevertheless guaranteeing that the supporters still have a direct say in the matters of management – also, crucially, making sure that a single entity can’t control the whole club. Not only that, but the DFL also has stringent rules with regards to the finances, controlling the levels of debt that each club can have while also limiting the player wages. This is also a natural consequence of the Bundesliga’s ecosystem with the fabled low ticket prices meaning lower matchday revenues: in 2014, only 38 percent of the revenue went to paying footballers in comparison to 67 percent in the Premier League. However, there are always exceptions to every rule. The blowback of the German teams’ overspending in the 1990s and the collapse of Kirch and its ambitious media rights deal is well-documented, so are the troubles of Borussia Dortmund, who seemed to rack up some debt after their recent Champions League heroics. The same rules were in place when Bayern Munich was going through its ‘FC Hollywood’ phase – and quite recently, there were talks of the concerning financial situation of Schalke. Put simply, the enforcement of these laws can be a bit lax sometimes. The same goes for the 50+1 rule, which the regulators simply changed when two specific teams got promoted to the Bundesliga. The city of Wolfsburg was founded in 1938 to house the workers from Volkswagen – it was they who created the football team that is known today as VfL Wolfsburg, which is currently part of a wholly owned subsidiary of Volkswagen Group. The team we know today as Bayer Leverkusen came to be in 1903 when 170 workers of Friedrich Bayer and Co. signed a letter asking their employer to support a sports club. Again, it started out as a Turn- und Spielsverein, with the separate football department only being formed in 1907. They are the main examples for a specific exception in the 50+1 rule: if a team has been funded by a company for over 20 years, the majority fan ownership rule no longer applies to them, provided they pass a complete evaluation. It’s a sign of German football’s strong traditions that many consider these factory teams “plastics” despite the long histories of their own, with the chant “Wir wollen keine Werksvereine!” – “We don’t want any works teams!” – regularly ringing out whenever these sides come to visit. However, they aren’t the only ones that have somehow skirted the regulations. Hoffenheim are the third team to officially bypass the 50+1 rule, with Dietmar Hopp taking over the majority shareholding in 2015 with the same sort of exception permit that Wolfsburg and Bayer Leverkusen paved the way for. The former player and software billionaire – a co-founder of SAP – financed the club for over 25 years, spending around €350 million on the side as the years went on, and with that, he earned the right to become the first private owner of a now-Bundesliga side. His new role was unanimously approved by a general assembly of Hoffenheim members. He also had a long-term plan in mind, despite what the rivals were saying: “There’s a lot of hatred because a lot of them think our success is just down to money … the fact is, however, I’ve invested five times as much money in the infrastructure – youth-development centres, playing fields, the stadium, and training centre – as I have in the professional football team,” he said in an interview with The Guardian. There are less clear-cut stories, too. Martin Kind has essentially led a one-man crusade against the current system. He has saved Hannover 96 after its ignominious fall to the German third tier with rising debt and death threats against the previous president – however, unlike Hopp, he had no interest in the town or football. He was a businessman first and second, and intended to run the club that way. 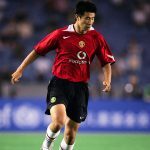 While he wasn’t able to become the owner per se, he essentially functioned as one as both the managing director of Hannover 96 Ltd. and the chairman of the parent club. In 2009, he straight-up tried to abolish the 50+1 rule, but was voted down 35 to 1 at a general meeting of Germany’s professional teams. He then proceeded to take his case before German football’s Permanent Court of Arbitration, this time only asking for the specific exception for Wolfsburg and Bayer to be generalised. With his wish granted, as of the 2017/18 season, he has become the owner of what is now his club. In the eyes of German football fans, this is the first major casualty; the other three clubs were never the “founding fathers of football”, as an opinion piece put it, but this is the first time when a traditional side laden with history has succumbed to such an ownership scheme. There are more stories like this, including Hamburg and Klaus-Michael Kühne and 1860 Munich in the second tier of German football. The number in the name of FC Ingolstadt 04 does not, in fact, refer to the start of the 20th century, but 2004, when two struggling teams came together to form a new side. Both the owner and the most of the club’s directors are major shareholders in Audi. RB Leipzig has mercilessly exploited every possible loophole in the 50+1 rule in order to aggressively further the energy drink company’s franchising ambitions. This is their fifth football club around the world. In a way, the tradition-laden German football might be a victim of its own success. The revitalisation of the youth scene and the subsequent international success coupled with the recent all-German Champions League final at Wembley means that the interest in the Bundesliga has never been higher. Investors are standing in line to get a slice of the growing pie while the economic heavyweights of Europe are pulling away, both with and without the use of steroids. And it’s not like changes aren’t happening behind the scenes already: even at the clubs that are keeping with the spirit of the rule, the cash is flowing. There are the clear downsides of a 50+1-like system and the benefits of external investment. In Sweden, the FA itself is against a similar setup, at least partially due to the lack of available capital. As for the much-maligned RB Leipzig, it’s worth mentioning that they have at least succeeded where so many have previously failed: the town with such importance in German footballing history has seen multiple local teams crash and burn over the years before the men with the energy drinks showed up. With the increased global interest in the German scene both on and off the pitch, the CEO of the Bundesliga has to walk a tightrope. They recently entered a five-year contract with Fox, which is the longest non-domestic broadcasting contract they’ve ever agreed to. He is open to ideas like extending the first division to 20 teams and having more television-friendly kickoff times.